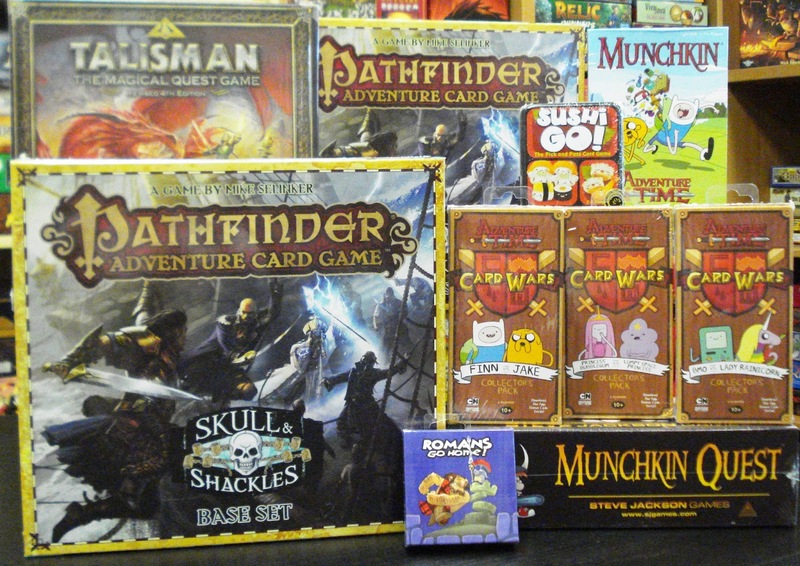 Come in and see this week's game arrivals especially Adventure Time fans. Two new Adventure Time Card Wars collector's packs have arrived. 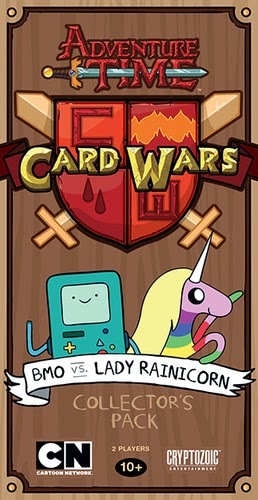 Both BMO vs Lady Rainicorn and Princess Bubblegum vs Lumpy Space Princess come ready-to-play right out of the box. 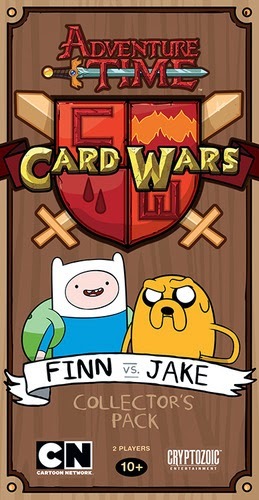 Adventure Time Card Wars is an easy-to-learn 2-player card game based on the animated TV series Adventure Time. 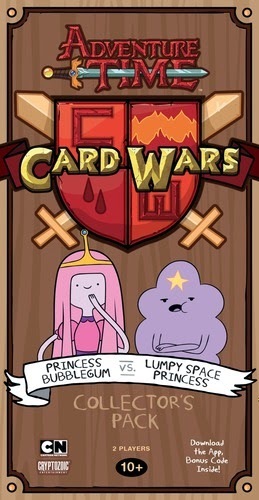 Fans can now play the trading card game seen in the Adventure Time Card Wars episodes. Also back in stock is the one that got it all started, Finn vs Jake collector's pack. 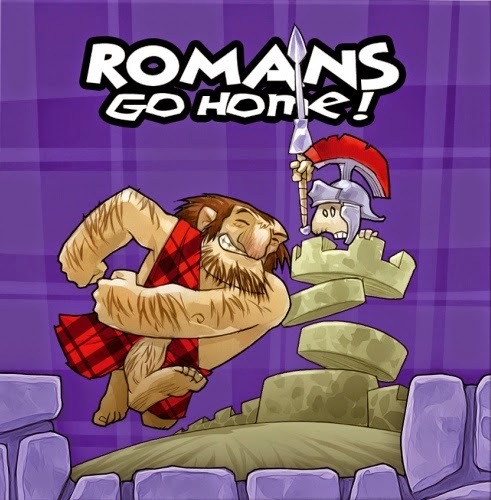 New in from Vainglorious Games/Lui-même is Romans Go Home! 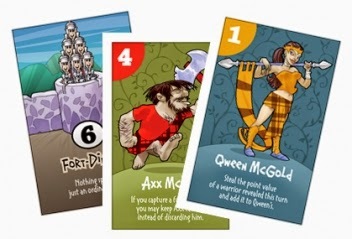 2nd edition, a quick 20-minute card game for 1 to 4 players. Each player adopts a different clan of ancient Scotsmen bent on destroying Hadrian’s Wall and sending the Romans back to Rome. Play your warriors strategically, then reveal them and use their special abilities to defeat the invaders - and more importantly, to show your rival clansmen that your clan is the strongest of them all. 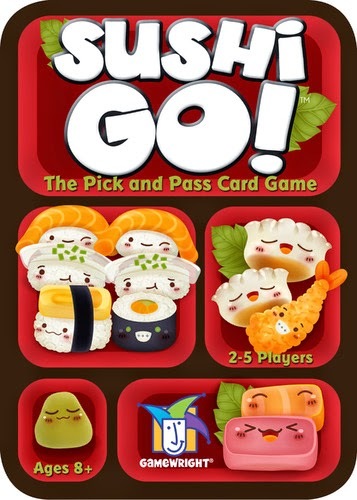 Another quick-playing game in this week is Sushi Go!, a fun family card game about delectable sushi. Players are trying to put together the best sushi combinations as various ingredients pass into their hands. Careful selection will be necessary as you will only choose one card to play from your hand before passing the remainder of your hand to the player on your left. Play your chosen card then pick up your new hand and repeat the process. Chose the chopsticks card and play an extra card. Score points for making the most maki rolls or for collecting a full set of sashimi.Triple your score by dipping your nigiri in wasabi. 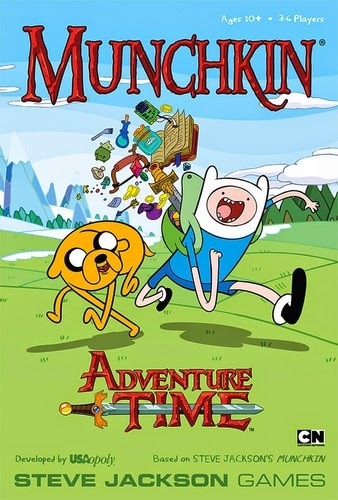 After being on the shelf for only a of couple days, Munchkin Adventure Time is back in stock. Come and visit us at 30 NW 2nd Street in Historic Downtown Gresham. We have a full range of family games, strategy games, Euro-style games, war games, card games, dice games and more. Also for the puzzle enthusiasts we carry quality puzzles from Ravensburger,Cobble Hill, and Dowdle.